Based on the hymn tune RUSTINGTON, this setting is scored for SATB choir, organ, brass quintet (or quartet), optional timpani, and congregation. This collection features newly composed pieces for preludes, postludes, music at the offering, and introductions in a variety of styles and harmonizations. Stephen Starke's well crafted paraphrase of the Te Deum is set to the stirring THAXTED tune in a new arrangement for choir, brass, timpani, and congregation. This collection contains 91 new hymns written by Rev. Stephen P. Starke, the premier Lutheran hymnwriter. Instrumental suggestions are included in the score and feature flute, oboe, soprano recorder, violin, and trumpet. 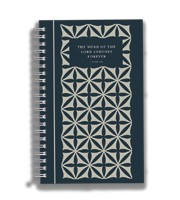 This edition is ideal for those who desire a compact, portable hymnal with psalms and hymns for personal devotion or pastoral care. This downloadable pack allows instrumentalists to play any part (harmony or melody) of the included hymns from Lutheran Service Book. These settings have been carefully arranged for two organists, Part I for manuals only and Part II for manuals and pedal.